Prosecco may be simple to say, but it is a surprisingly complex product. We guide you through the intricacies of this popular Italian sparkling wine, so you can sip like an expert. The popularity of Prosecco seems to be showing no signs of slowing and, as the market continues to expand, so do the number of producers and the range of styles, not forgetting, importantly, the amount of vineyards planted to supply the growth – and hence, there’s never been a more important time to be a little more discerning about the fizzy phenomenon of this decade. In essence, key to the character of Prosecco is the location, grape variety and the production method. And, to deal with the former first, the Italian fizz comes from north-east Italy in an arc-shaped area of hills and valleys that are found inland of Venice. 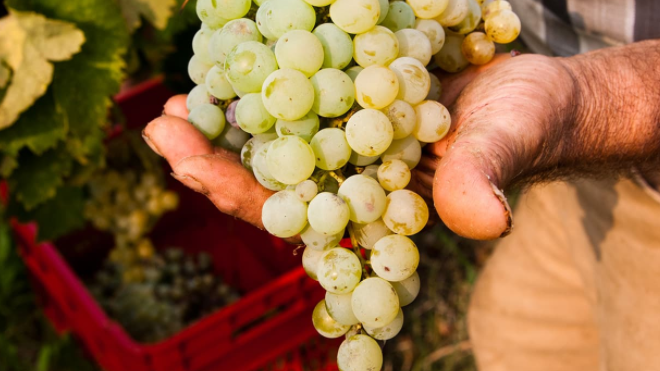 The area of production is large, currently spanning 20,000 hectares, and a further 3,000ha was added to the existing hectarage last year in an attempt to meet the rising demand for Prosecco. However, even with a total of 23,000ha, the Prosecco region is smaller than Champagne, which covers 33,000ha in total, an area that is one third greater than Italy’s sparkling powerhouse. Having noted that, the output from Prosecco is bigger, and in 2016 approached 475 million bottles, significantly more than Champagne’s average production of around 320m. (This is because the yields-per-hectare in Champagne are lower due to nature – particularly frost at flowering and bunch rot during harvest – as well as the strict regulation process in Champagne to ensure that the supply of grapes is roughly kept in line with the demand for the French fizz). As we note below in more detail, the best areas for growing the grapes for Prosecco are the hills of Asolo (and Montello), Valdobbiadene and Conegliano, and, at the top of the quality pyramid, the slopes of Cartizze. Also vital to the distinctive nature of Prosecco is the grape variety. In fact, the region took its name from this grape, which, until 2009, was called Prosecco. However, as the producers of Prosecco-based sparkling wine in north-east Italy realised that a grape variety couldn’t be geographically delimited and protected, they registered the word Prosecco as a region, or DOC (which stands for Denominazione di Origine Controllata). So, eight years ago, the region of production became registered in the EU as ‘Prosecco DOC’, and the grape variety used to make the fizz was named Glera – a somewhat ugly word, which, it is believed, was deliberately chosen to discourage producers outside the region from using the grape to make sparkling wine. In short, anyone who grows the grape formerly known as Prosecco outside the DOC cannot use the word Prosecco on the label – that is, if they want to sell the product in the EU (and hence, you will find sparkling wines labelled Prosecco produced and sold in, for example, Australia – where the Glera/Prosecco grape has been grown for many years). Significantly, Glera produces wines with a floral-fruity character, most commonly aromas of apple and pear, and sometimes acacia blossom too. When really ripe, Glera also yields flavours of peach and melon. It should be noted that other grape varieties are allowed in Prosecco, such as Pinot Bianco, Pinot Grigio or Chardonnay, along with local grapes Bianchetta, Perera and Verdiso, but, by law, all Prosecco must be made with a minimum of 85% Glera. The final critical aspect to the character of Prosecco is the production method. Although different approaches are employed, the vast majority of Prosecco is made using the tank or Charmat method, also known as the Italian method, which sees the product achieve its fizz through a second fermentation in a large stainless steel vat, before it is bottled under pressure. This is in contrast to Champagne, which gains its sparkle within the bottle it is sold in. The method of Prosecco production generally yields an aromatic type of sparkling wine, with a fruity flavour, a slight sweetness, and a pleasing but, in the main, rather simple character. It is also a sparkling wine that is designed to be drunk when it’s still young – very few Proseccos will benefit from cellaring. However, for more information on the styles of Prosecco, which are connected to the production method, particularly the amount of residual sugar left in the fizz, as well as the exact source area of the grapes, see the following pages.